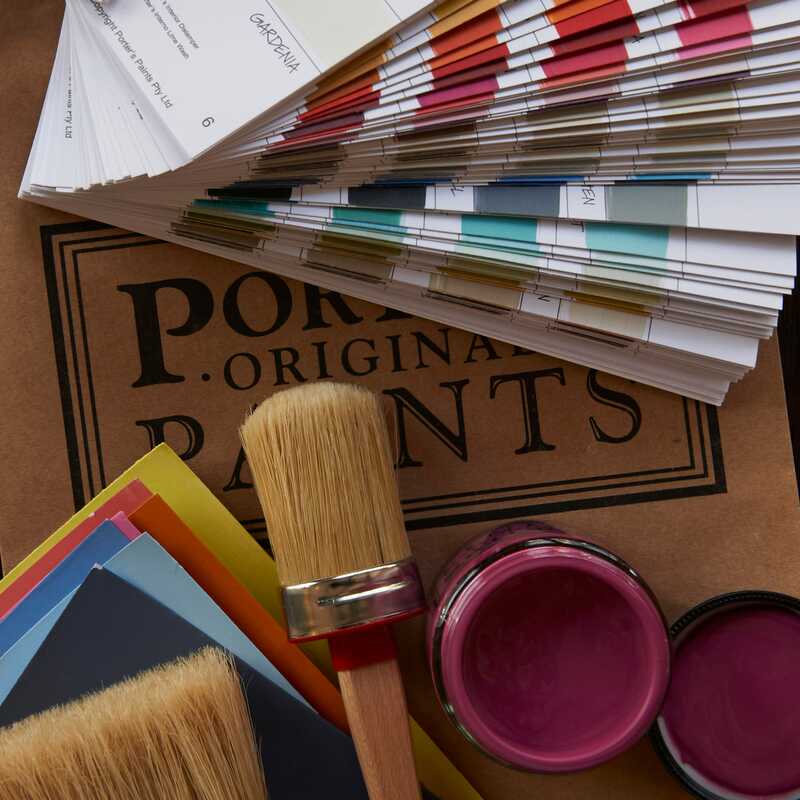 Porter's Paints are leaders in the Australian paint industry, famous for both their commitment to the environment, and for creating colours of great complexity and depth. They produce unique products for interior and exterior use including natural paints and modern finish paints. All Porter's products are water-based and kind to the environment. In addition, they make a range of high quality waxes for use over some of their other paint products or on timber furniture. At Fragments, we sell the full range of Porter's which includes the fabulous Chalk Emulsion - a paint designed primarily for use on furniture. In fact, if you come in to our Hobart store, you're bound to see a gorgeous piece of furniture that's been painted using it! Porter's produce handpainted fandecks which allow you to see the true colour of the paint. We always recommend that you see a true colour sample as colours are not always represented accurately on a computer screen or in a magazine.